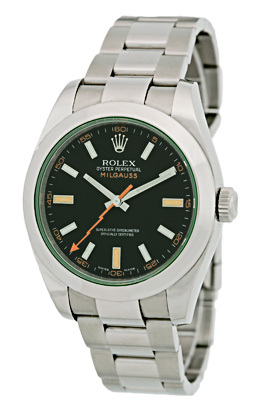 Certified Pre-Owned New-Style Gent's Anniversary Edition Stainless Steel Rolex Green Crystal "Milgauss". 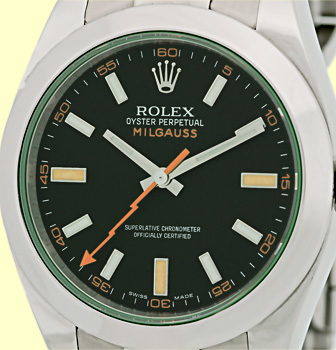 Black Dial with Orange Baton Hour Markers, Orange Lightning Bolt Sweep Second Hand, Smooth Bezel, and Special Edition Green Sapphire Crystal. 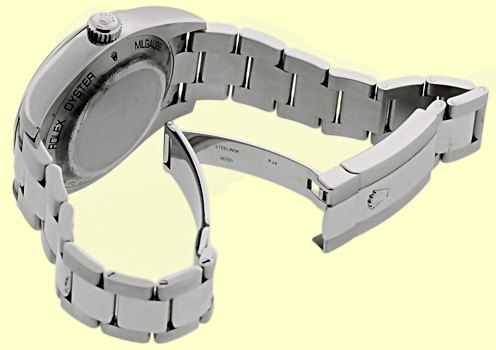 Matching New-Style Stainless Steel Rolex "Oyster" Concealed Clasp Bracelet. 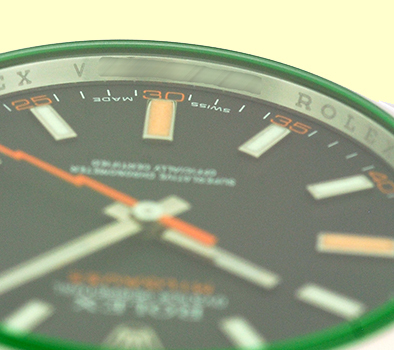 V Serial, Card Dated 2010. 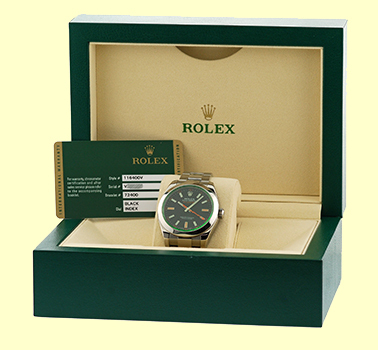 Certified Pre-Owned, Like New Condition with Rolex Box, Booklets, Rolex Warranty Card, Hang Tags, and complete with Capetown's Lifetime Warranty! !